Stratiscope offers unique solutions for different sectors. Learn what we have to offer you. We leverage community intelligence to develop effective and lasting solutions that work for all stakeholders. Businesses, nonprofits, and government agencies realize higher returns on investment and effort when we help them forge stronger community connections. Stratiscope harnesses the power of community to help businesses, nonprofits, and government agencies achieve their goals. 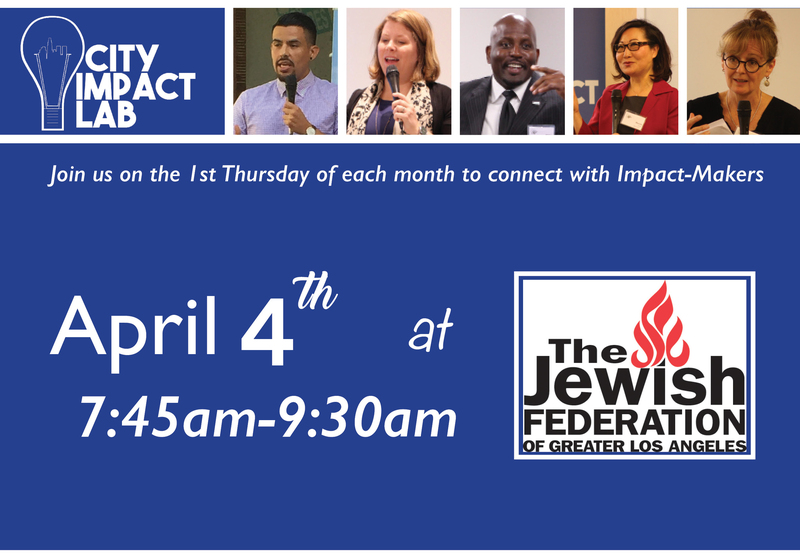 The City Impact Lab brings together those making an impact in government, the arts, neighborhoods, nonprofits, and business to share breakfast and jumpstart their day with tactics for success. Each breakfast includes 2 speakers who share their personal experiences and strategies that have lead to their success. Sign up to receive the latest updates and community engagement thought leadership from Stratiscope. John Bwarie, founder and CEO of Stratiscope, works to build and engage communities across the country. He has worked for four Los Angeles City elected officials, primary focused on economic and community development. He co-created the Great ShakeOut and CA Clean Air Day, both currently community engagement campaigns with millions of participants and impressions. He has created the City Impact Lab in Los Angeles and serves as executive Director of the San Fernando Valley Council of Governments, working on transportation planning and regional coordination. John works with every media outlet in SoCal to advance messages of science and resilience as the co-founder and deputy director of the Dr. Lucy Jones Center for Science and Society. John works to connect people and solve problems while always focusing on an actionable outcome. He has created the innovative Community Intelligence Officer (ComIO) and extols the value of collecting and leveraging Community Intelligence in any effort. In late 2018, John was invited to serve on the Wells Fargo Community Advisory Board for Los Angeles — one of only a handful of such boards across the country. He has advised national brands on community engagement, including Lucky’s Market, Live Nation, American AgCredit, and AARP; and he’s lead training for major institutions including Caltech, LA Metro, Apple, Pepperdine, and UCLA. You can join John and earn your CoMIO certification during one of his upcoming cohorts or through private training for your organization or group. John is the host of Community Intelligence, a podcast featuring thought leaders and trailblazers work in and with community. He also curates and leads cultural immersion and food tours of Los Angeles neighborhoods. — Translation: I speak policy, science, and community. — Convening: I know the right people to bring together and how to get an outcome. — Strategic Engagement: Connecting people with the right solutions isn’t taken lightly. — Idea Manifestation: Anyone can come up with and idea. I generate ideas and the plans to implement them. Max is a scientist at heart. Working with companies and organizations across Canada and the US has shown him first-hand that the keys to innovation are adaptive systems and structured experiments. At Stratiscope, Max conducts in-depth community research and works with clients to develop tailored strategic frameworks that adapt to changing systems and are easy to understand and implement. When not at work, Max can be found indulging in one of many hobbies: reading, climbing, drawing, playing Go, cooking, or giving dogs more attention than their owners. — Strategy: I design adaptive strategic frameworks that improve learning and innovation. — Research and Analysis: I find signal among noise. — Clarity: I distill the abstruse into the crisp, communicable, and actionable. A native Angeleno, Joe has a commitment to the community he calls home. At Stratiscope, Joe organizes all logistics for client events, and is the lead coordinator for the City Impact Lab’s monthly Social Impact Breakfasts. His experience comes from working in the entertainment industry, especially in the area of live performance. He’s committed to getting to know the community, and gets around the city by public transport. Through his work at Stratiscope, Joe also maintains the operations of the company, making sure all areas function effectively. Joe is passionate about animation, film, and music. On his time off, he can be found around Los Angeles at just about every record store, concert venue, and hole-in-the-wall eatery. Adam Galia brings more than seven years of professional experience to Stratiscope that includes work with nonprofits in the areas of development and volunteer management, as well as his experience as a political campaign manager and representative for an elected official in the California State Senate. Adam has worked with youth, businesses, city councils, and stakeholder groups to address needs and solve problems. He is hands-on, loves meeting new people, and is dedicated to making change happen. In his free time, Adam can be found playing tennis and outdoors enjoying nature and the California sun! — Collaborating: I love the challenge of working with diverse stakeholders to find common ground to develop practical solutions. An Idaho transplant, Angela believes in the small-town civic engagement ideals experienced in her youth and applies them to work she does in the neighborhoods of the city she now calls home. She has worked for two Los Angeles mayors and two Los Angeles City Council members as a policy advisor, community representative, and business development specialist. Through her work, she became a “Queen of Hollywood,” noted for her expertise in getting things done in the community of Tinseltown. Angela has been seen with her sleeves rolled up at a community clean-up in the morning, speaking at a Walk of Fame Star Ceremony later that day, and connecting power-players at a gala event that night. She can often be found singing and playing her ukulele in front of any audience who will listen. — Mediating: I am not afraid of a hostile room and can leave having created common ground. — Problem solving: No challenge is insurmountable with the right set of tools.